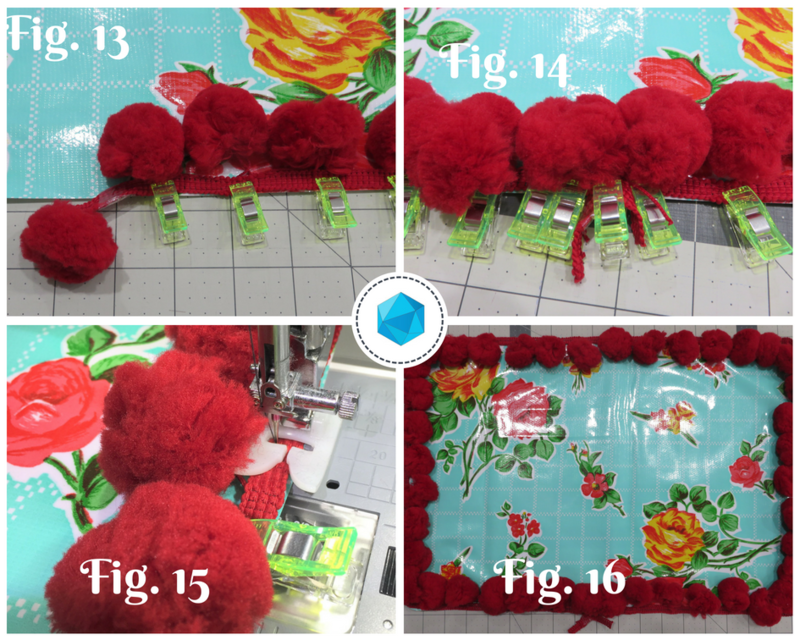 Applique your way to a handmade Mother’s Day! 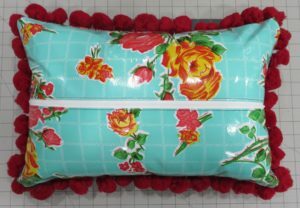 I’m always looking for creative gifts to make for holidays, birthdays, anniversaries, and it seems like it’s always the same kind of stuff that you could really do without…like, how many cosmetic bags do you really need? So I was trying to think about what kinds of gifts would be meaningful to me if I were a mother. What kind of gift would I cherish and appreciate forever? Well, right off the bat, I think about things that represent my “imaginary kids”. Handwriting samples, drawings, things that could be made more permanent. But then, I thought not all kids are old enough to draw or write…so how could that stage be permanently captured in a cute way? My answer was hand prints! But the painted hand prints are kind of cheesy, and lots of those probably come home from school in the form of turkeys, reindeer antlers, spiders, butterflies, etc. 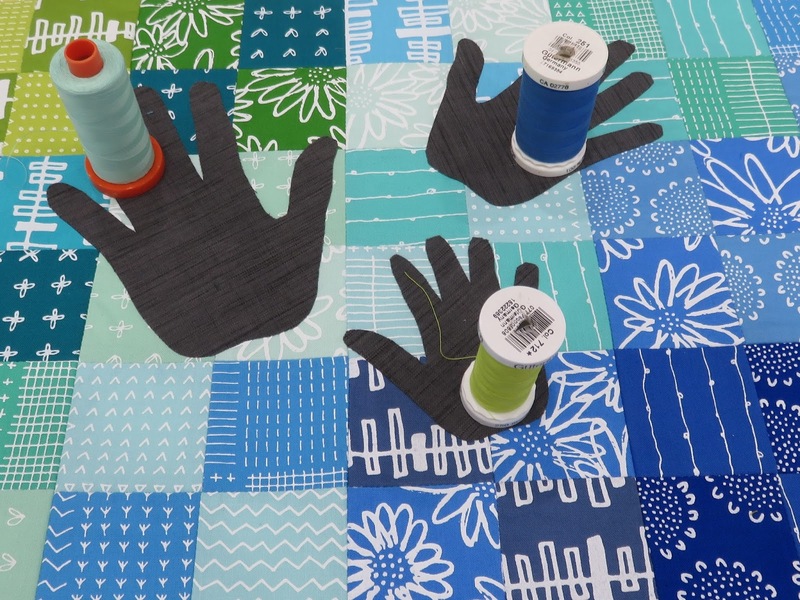 So how about making a functional patchwork pillow with traced hands of the kiddos appliqued on top of the patchwork? 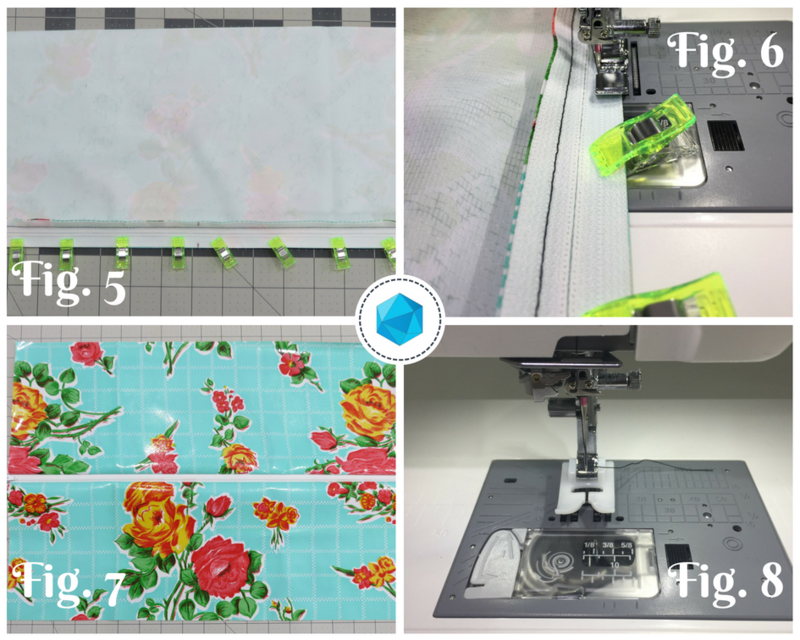 I got to team up with Janome for this super easy tutorial, and really loved the experience. If you’re in the need for a super cute, but still functional Mother’s Day gift (or grandmother’s gift! ), this is the project for you! 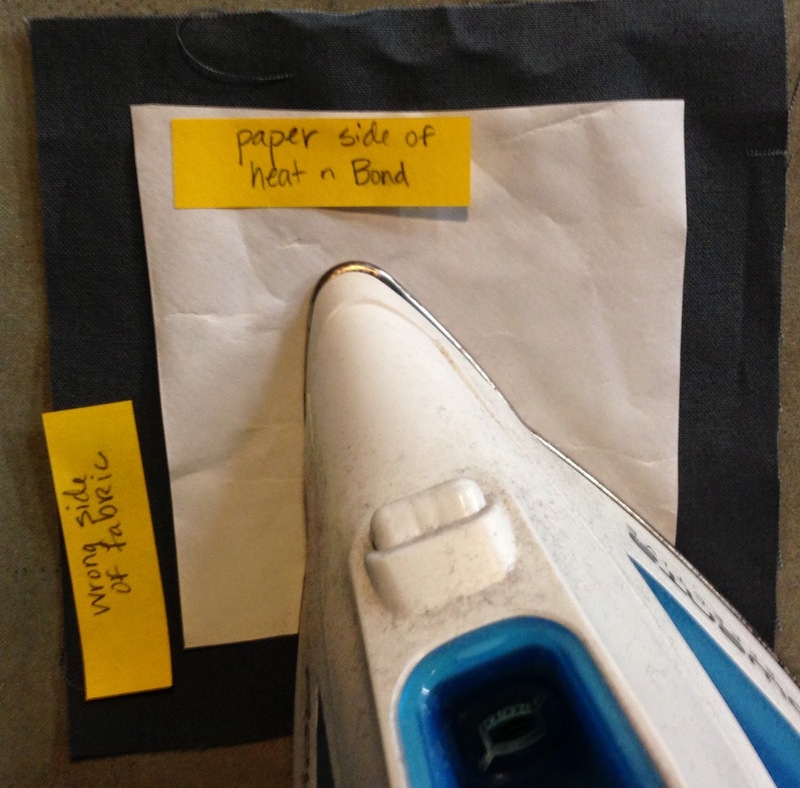 Follow this Link to access the full tutorial and supply list. The pillow features Karen Lewis’ awesome fabric range, Blueberry Park. 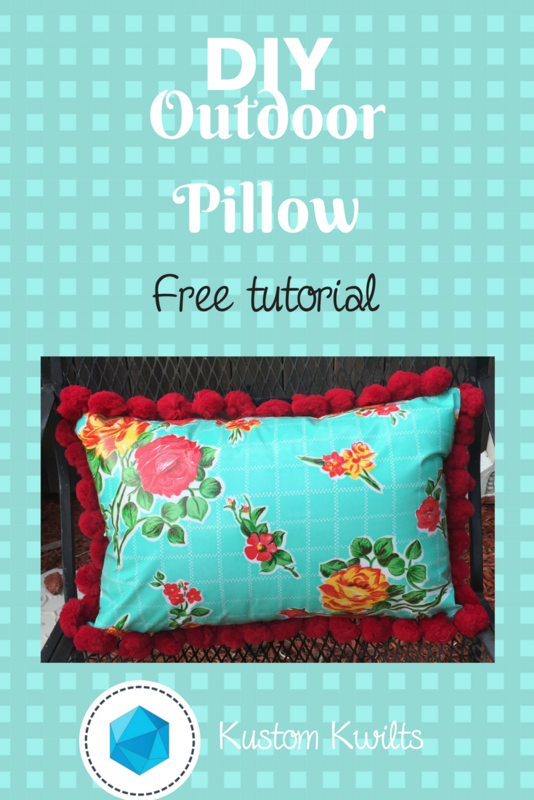 The back of the pillow is an easy envelope closure that takes minutes to make. 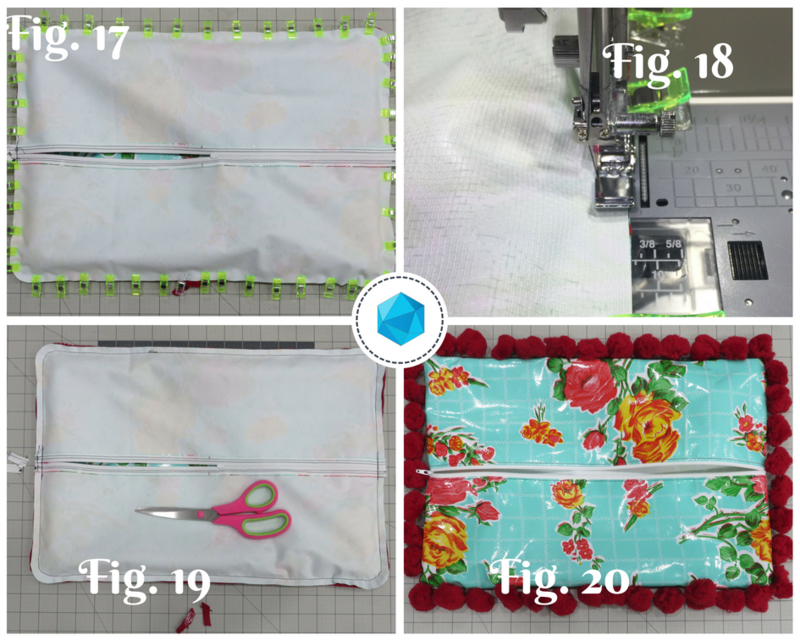 For more details, check out Janome’s project page and access the complete, free tutorial! Until next time, I hope you are able to get some good sewing in! 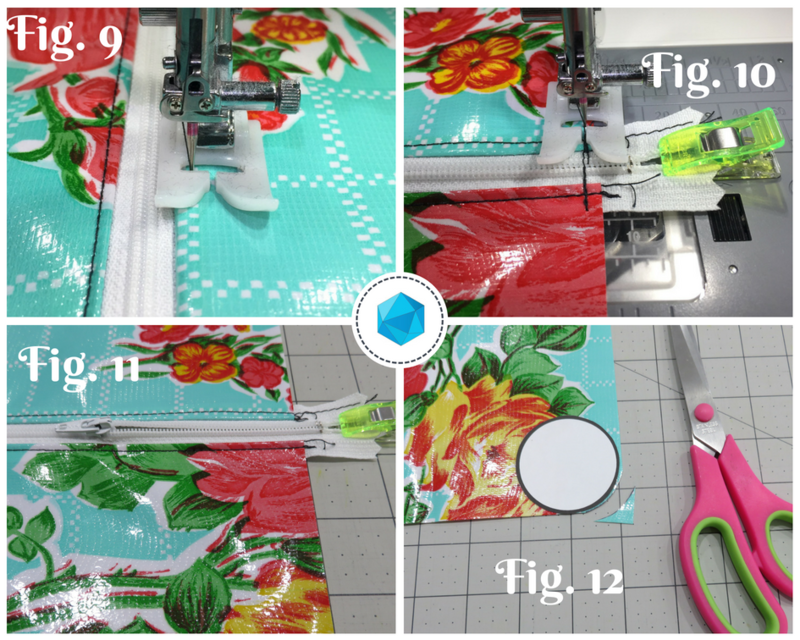 Check out my newest tutorial for Janome on the AQS blog this week! 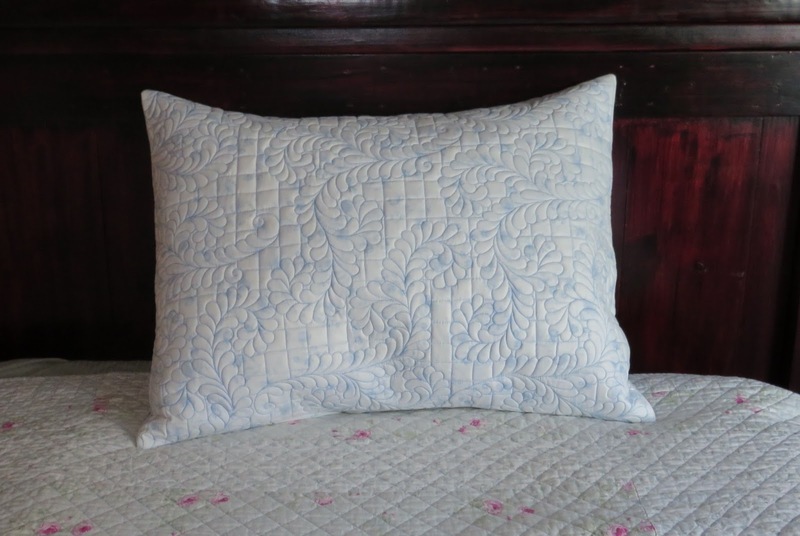 The tutoiral is for Quilted pillow shams that will really step up your bedroom decor and give an extra special touch. 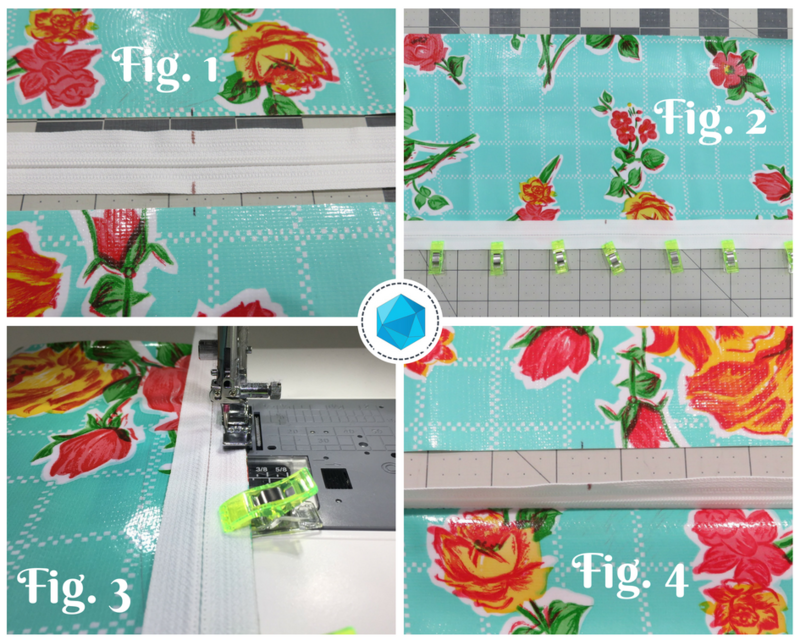 Follow this LINK to see the full tutorial and add some new tools to your quilting toolbox! 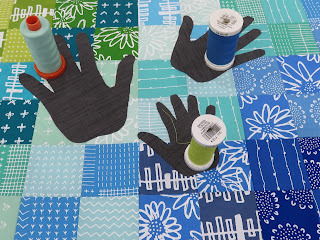 I’ve always loved quilting, and was a little skeptical at the stencils. Especially before I knew about the chalk pads. 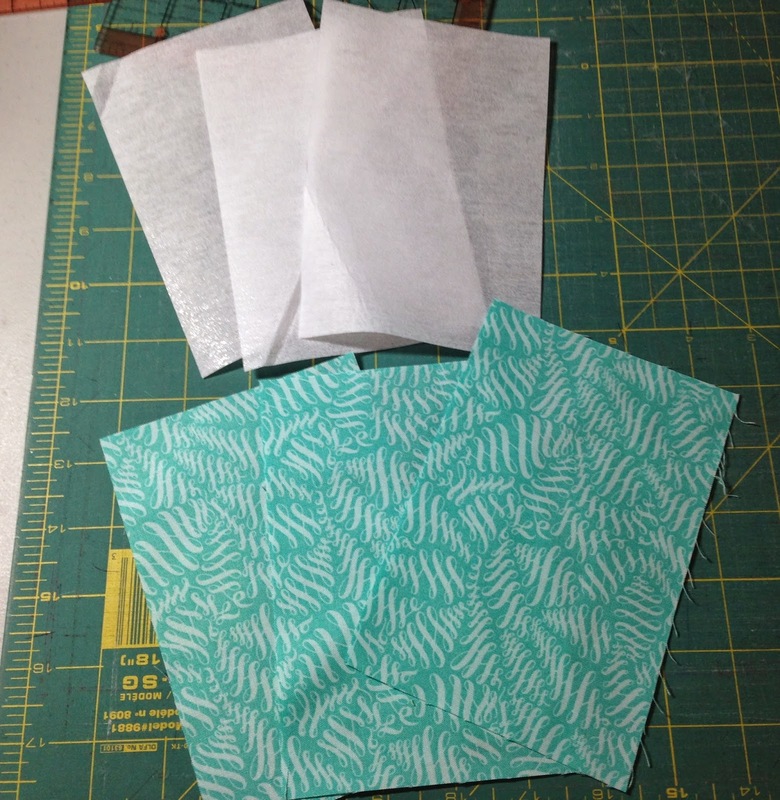 I tried them when I first tried my hand at quilting, and used a water soluble pen to trace each stencil line. 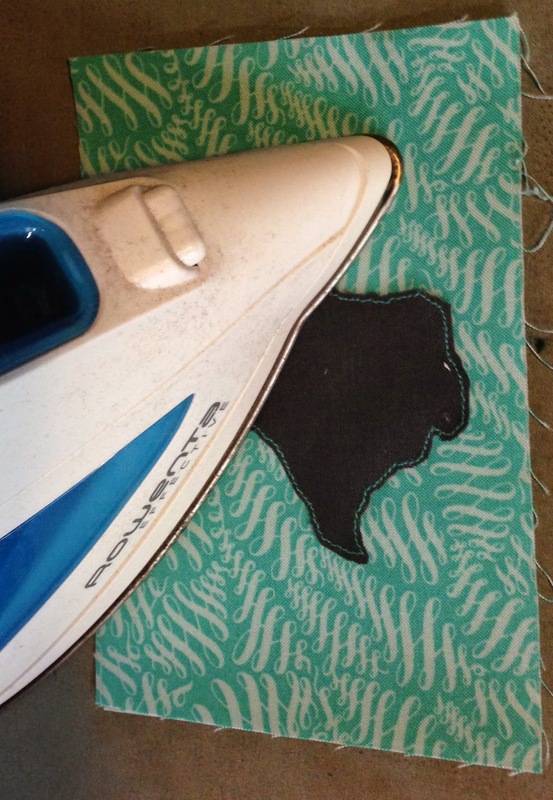 And let me tell you…that will be a wonderful deterrent for anyone to never try stencils again. Time consuming, inefficient, etc. Then one of my friends had some of the chalk pounce and pads and so I thought I might just go ahead and try it again. WAY better than tracing each line by hand. What originally to hours literally changed to minutes. 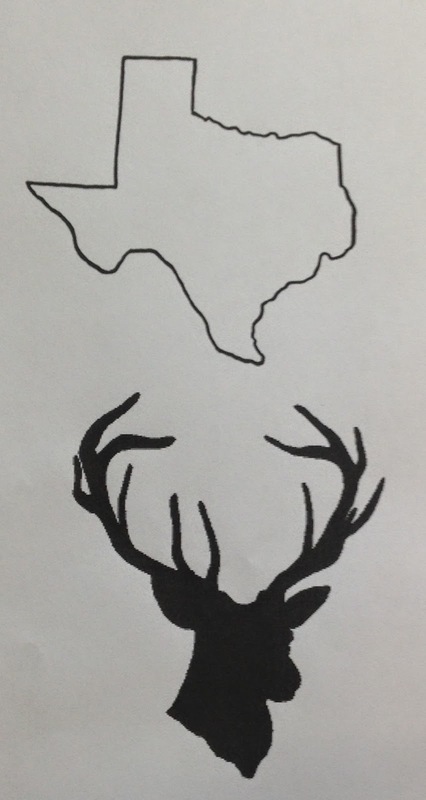 So if you haven’t loved stencils, maybe try this and you’ll change your mind! Have the sewing room I dream of TONIGHT! Not really. I wish is right. Soon enough, though. If you’ve read my previous post about painting over tacky wall paper, then you know my husband and I live in a pretty budget friendly house (that’s code for–NO ROOM for anything). So, a little over a year ago, we started building our dream workshop to house our hobbies. Brady drew up a big metal building and then we planned to frame off 1/4 of it on the interior to make that my sewing/quilting “studio”. My awesome father-in-law got involved and literally has done more than my husband and I combined. The shop is basically done, and Brady has been working on my sewing room for the last 6 months. was something like 9 truck loads full. I really don’t remember what this step was. And then, the magical day when the concrete was poured! on putting the beams up for the building. Next week, I’ll share pictures of the next step progress. I will say that from the start of these pictures, through the one above took roughly 6 months. It would have taken probably days, had we hired a crew of people to come out and do everything for us, but that isn’t the route we took. Even though it’s much more time consuming, it really saved us a lot of money.